Date Night! A wonderful evening to splurge on a special meal with your special someone and Panama City has plenty of delicious restaurants that are worthy of a special occasion. But which are the best options for a romantic date night? Apart from delicious food, ambiance is everything. You want to find a place that isn’t too loud or brightly lit, where the staff is attentive but not overbearing, and where you and your date can enjoy your meal without feeling rushed or crowded. Lucky for you, we’ve wined and dined our way across the city. We guarantee the following options meet all of the above criteria. A word to the wise, though. Tables can get booked quickly, so it’s in your best interest to make a reservation sooner rather than later. Once that’s done, sit back and prepare to enjoy a delicious, special meal with your loved one. 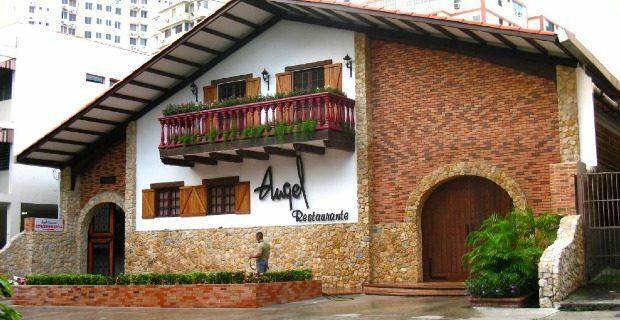 Everything about Restaurante Ángel exudes romance. Before you even set foot inside, the charming Spanish-style building situated in El Cangrejo will steal your heart and impress your date. The dining room is cozy and comfortable with low lighting and plenty of privacy. The waitstaff is incredibly attentive and knowledgeable about the classic Mediterranean and Spanish menu. There are plenty of great options to share including the roast suckling pig or the Pulpo a la Gallega, grilled octopus. With an extensive wine list, it’s best to choose a bottle and settle in for a delicious meal and romantic evening. 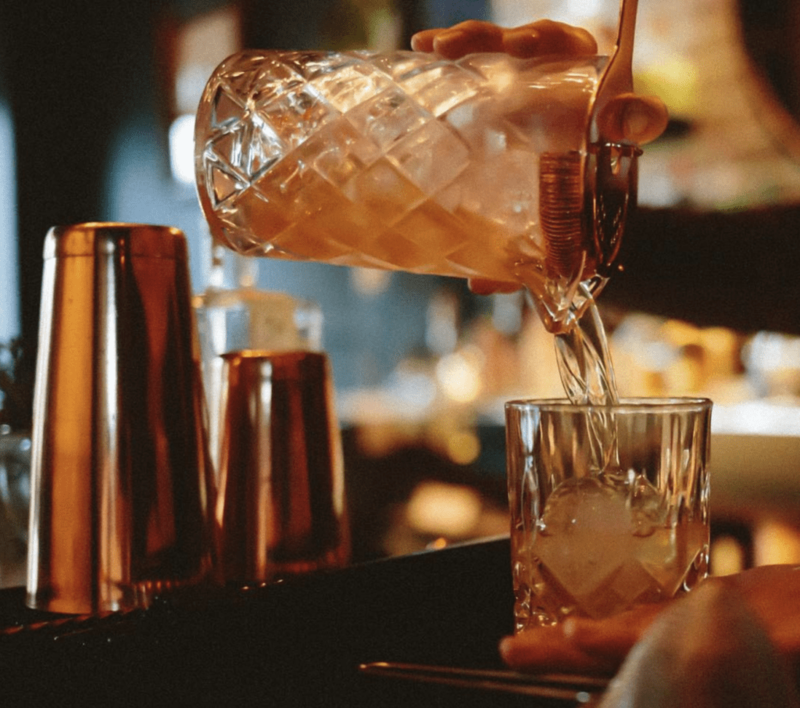 And if you aren’t quite ready to depart after your meal, there is also a great bar area where you can enjoy an after-dinner drink. Tantalo is the perfect spot to for a romantic dinner without being overly stuffy or serious. This quaint rooftop restaurant is perched atop a boutique hotel by the same name in the center of Casco Viejo. As one of the best rooftop bars in the city’s historic center, this is a great spot for a delicious meal in a special environment. 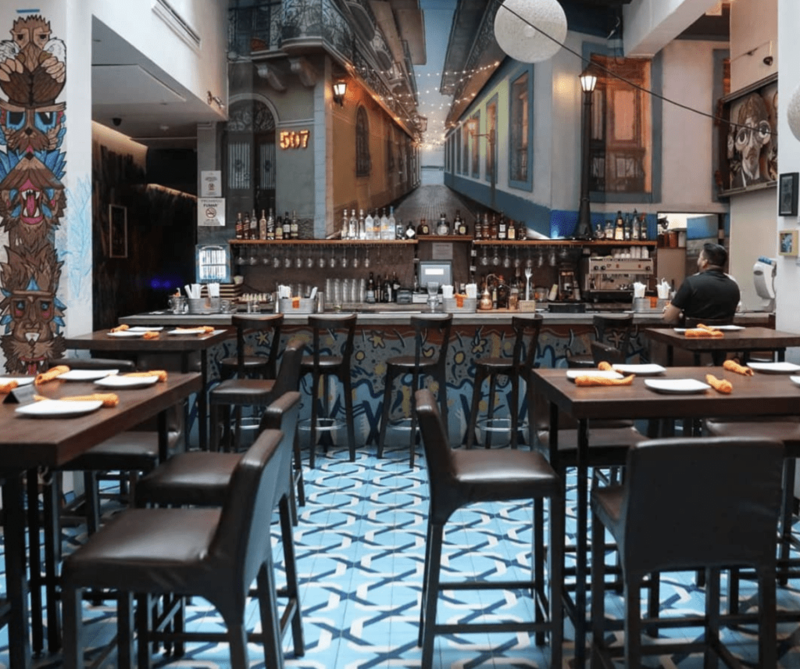 The creative menu fuses flavors from around the world while still paying homage to Panama’s unique dishes and local ingredients. The menu is extensive and offers plenty to choose from, though the Goan-style shrimp is a must. Skip the wine here and opt instead for one of the deliciously prepared signature cocktails. Tantalo is the perfect balance between casual and elegance that is sure to impress any date on this special day. While there’s plenty to rave about on the menu at the American Trade Hotel restaurant, the setting here is the real show stopper. 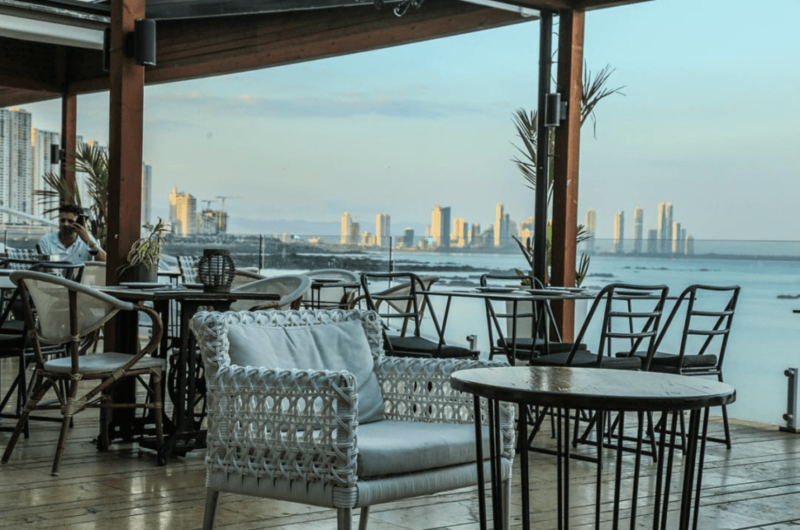 Easily one of the most elegant spaces in Panama City, the American Trade Hotel has a breathtaking tropical sophistication that’s sure to impress even the most finicky of diners. As the restaurant often caters to hotel guests from around the world, the menu focuses on fusion cuisine with simple preparations and bright, local ingredients. It’s also a great place to bring picky eaters or those with special dining needs. The kitchen accommodates dietary restrictions, and there are several vegetarian, vegan, and gluten-free options on the menu. Regardless of what you order, both the ceviche and the oh-so-delectable cocktails are not to be missed. If you’re looking to pull out all of the stops to impress your date, look no further than Donde José. While it can be hard to score a table in this tiny, yet romantic, dining room, the trouble is certainly worth it. More than just a restaurant, Donde José is a full dining experience. Sit back and enjoy the prix fixe menu that tells the story of Chef José’s history with cooking Panamanian food. Each dish is exquisitely planned and executed and puts Panama’s freshest ingredients front and center. The staff is exceptionally knowledgeable and take the time to describe each and every dish as it arrives at your table. If you’re seated at the bar you can even get a sneak peek at the preparation and ask the chef questions. Whether you opt for the wine pairings or for a custom cocktail, this is the perfect spot for a leisurely and entertaining dinner you and your date won’t soon forget. If you’d like to wow your date with a breathtaking view over dinner, then consider La Vespa Vista Mare. When making your reservation, request a table by the water’s edge and prepare to be stunned by the evening view of the city skyline and coast. It’s the perfect spot for a romantic meal for you and your guest. Another great spot is near the kitchen which is strategically separated from the dining room by glass windows, so guests can watch the chefs as they work their magic. When it comes to ordering, you can’t go wrong with anything seafood. All of the dishes boast the freshest ingredients and are expertly prepared. And don’t forget to check out the cocktail bar after dinner for a romantic nightcap. 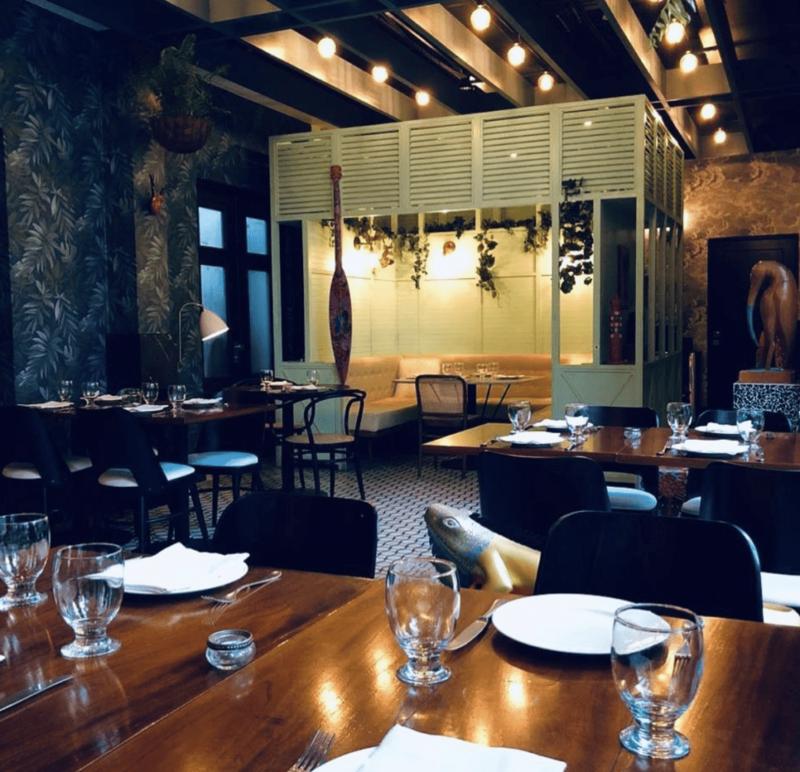 Tucked away in the charming Casco Viejo, Tío Navaja is the perfect spot for an intimate dinner. The cozy yet simplistic dining room is the perfect setting for enjoying a delectable and innovative meal. All of the appetizers are wonderful, especially the grilled octopus, making it the perfect place to share a meal and try a number of things on the menu. While it might not be the most romantic dish, the cheeseburger also consistently gets rave reviews. Every dish is beautifully plated making dinner at Tío Navaja a feast for your eyes as well as your stomach. After dinner, head upstairs to Mula bar where innovative cocktails extend your romantic evening into the night. Whether it’s your first or twentieth date together, Tío Navaja is the perfect place to celebrate with your special someone. Located inside Casa Casco, Marula is a wonderful option in Casco Viejo. The whimsical decorations and innovative plates will leave you and your guest with plenty to enjoy. Regardless of what you order, you can fully expect to be wowed by the beautiful presentation and the unique twists the chefs include with every plate. Diners often comment that the food is so stunning it’s almost a shame to eat. You’ll definitely want to eat, though, as the beautiful dishes are rivaled by their delicious flavors and preparation. And save room for dessert. All of the options are inventive and delectable and the perfect way to please anyone with a sweet tooth. 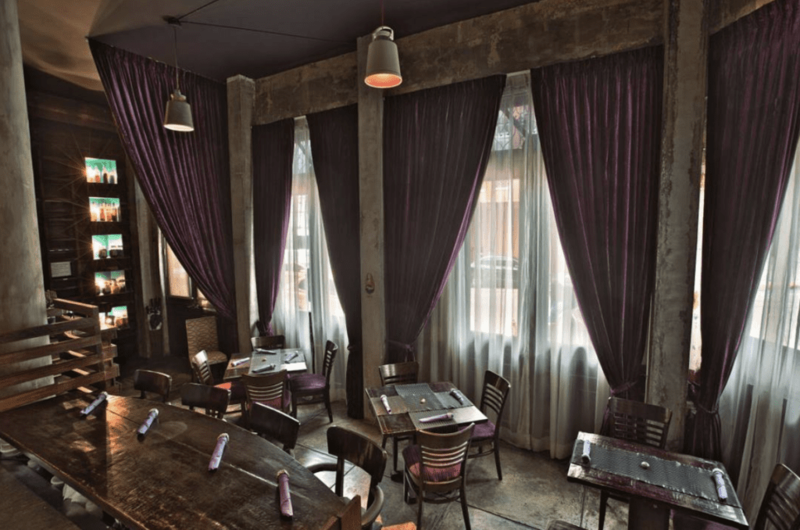 Another romantic option in Casco Viejo is Ocho y Medio. 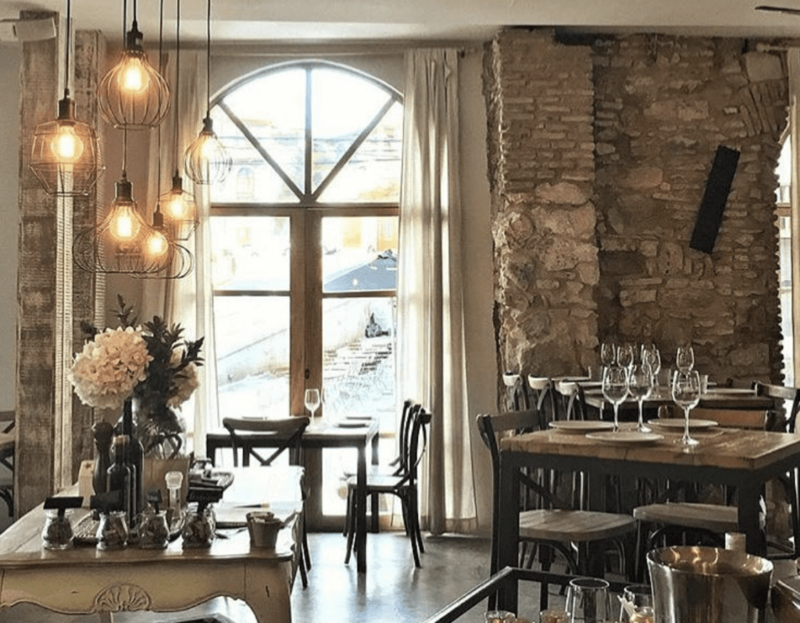 This stunning restaurant with an eclectic menu is the perfect place to take any date, as even the pickiest of eaters can find something to be excited about on the menu. Whether you go with a hearty pasta or seared fish, you won’t be disappointed. While the dining room at Ocho y Medio is comfortable and stylish, in our opinion, the courtyard in back is the epitome of romance. With strings of outdoor lights and lush landscaping, it’s ‘the’ place to enjoy an al fresco meal with your special someone. 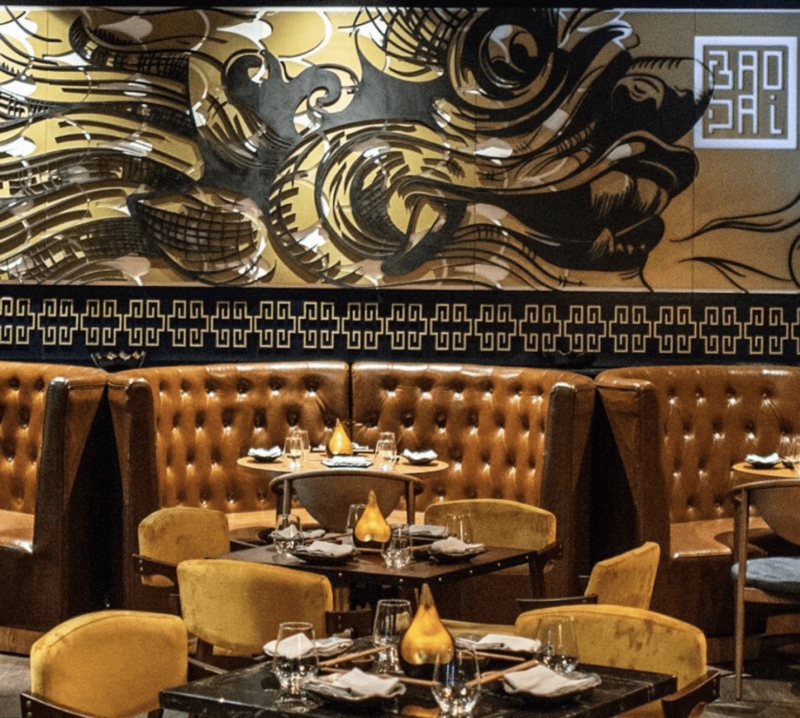 If you’re looking to impress your date with something exotic, Bao Dai is the spot. 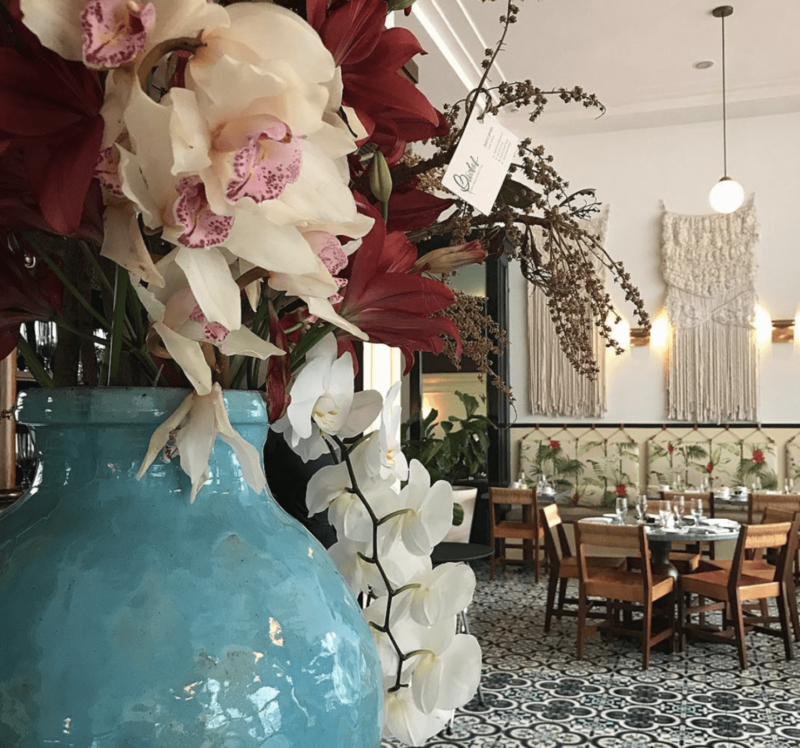 This Asian-fusion restaurant located in Casco Viejo is the essence of classy and offers everything you could want for a special date night meal. Spread across four levels and featuring a rooftop terrace, the restaurant’s dining room will have you feeling like you’re on an exotic vacation. The menu is extensive and packed with Asian favorites, but we suggest you order plenty of different items to share. Don’t miss the dim sum, noodle dishes, or Kung Pao chicken which is packed with flavor without being overly spicy. This is a great option for a first-time date or if you’re looking to mix up your annual routine. Even if it wasn’t charmingly romantic, we would recommend Santa Rita for the food alone. Luckily for you, though, this restaurant has it all. 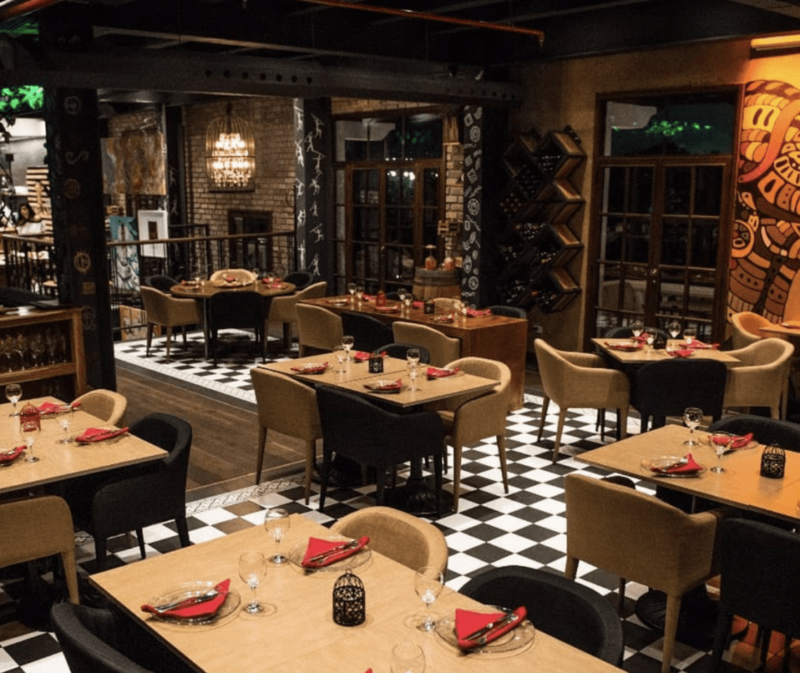 The stylish and understated décor with lots of warm lighting and wood touches creates the perfect romantic atmosphere where you and your date can enjoy a delicious meal of Spanish and Argentinian classics. This is an especially great option for meat lovers as the various available cuts of meat are cooked to perfection. There are also plenty of tapas-style appetizers to share. What’s more? 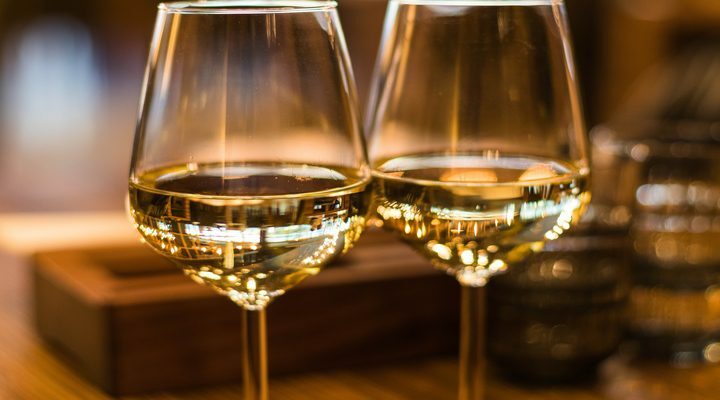 They’ve got an extensive wine list from which you can choose the perfect bottle of vino tinto to share with your date and accompany your meal. So what are you waiting for? Make your reservation now! Then sit back and relax knowing that you’ll have the perfect venue picked out to impress your date.